Former Governor Pat McCrory’s budget director Andrew Heath landed a job as a judge during the final days of McCrory’s administration after the legislature used the December 2016 special session to add several Superior and District Court judge seats, so McCrory could appoint a few judges on his way out of office. Heath is challenging incumbent judge John Arrowood for his seat on the N.C. Court of Appeals, the state’s second highest court. Arrowood was appointed to his seat in 2017 after Judge Doug McCullough resigned to foil Republicans’ court packing plan. Arrowood also served on the court from 2007 to 2008. Meanwhile, Heath’s primary credentials include three jobs given to him by Former Governor McCrory, creating major questions about his ability to be an independent and fair judge. Heath has a record of siding with business over people. He was chair of the Industrial Commission, his first (of three) McCrory appointments, and served on the board of a Koch-funded “workers’ education” nonprofit. Heath’s record on the Commission fundamentally altered its ability to protect North Carolina workers and decide workers’ compensation disputes; he stacked the deck against workers every time. Heath’s three most recent jobs were appointments by McCrory, calling into question his independence as a judge. His inexperience showed in his role as McCrory’s budget director. Heath’s budget left teachers behind, saying it showed restraint for not “showering money” on teachers to “gain political points.” He also downplayed the significant economic impacts of discriminatory HB2. Heath will be a close ally for Republicans on the court, placing partisanship ahead of the needs of some of the most vulnerable North Carolinians. He turned to Twitter just days after the election he took to Twitter, using questionable math to imply voter fraud should invalidate Roy Cooper’s defeat of McCrory. His willingness to use questionable data to defend his boss and political patron shows who he’ll stand up for on the state’s second highest court. 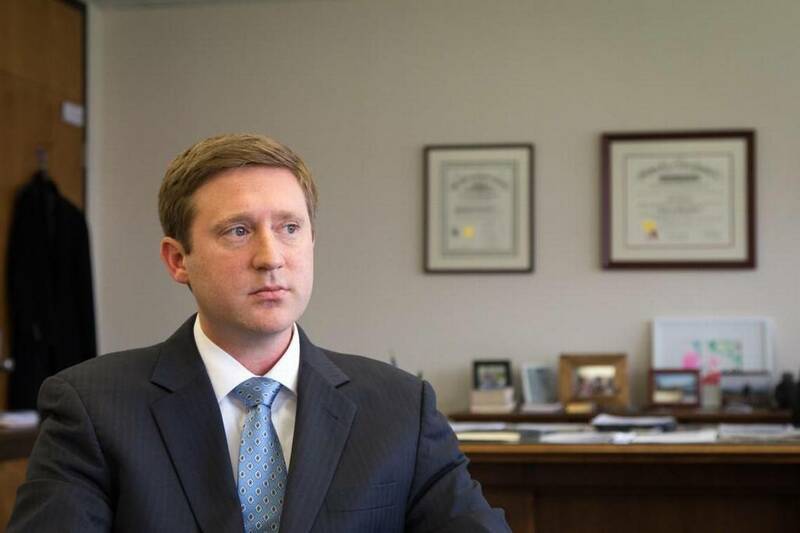 Continue reading for more about Judge Andrew Heath, candidate for the NC Court of Appeals. Heath, a close ally of powerful and formerly powerful NC Republicans, will remain loyal to them on the court. He took to Twitter to claim voter fraud led to Roy Cooper’s victory over Pat McCrory in 2016 but was caught using questionable math to back up his false allegations. Heath tweeted that Durham County has 231,000 residents over the age of 18 but 232,000 registered voters, implying fraud. In reality, Durham’s 2015 voting age population was about 235,600 and the county had only 193,659 registered voters at the time of the 2016 election. Senate Leader Phil Berger attended a fundraiser for Heath’s Court of Appeals Campaign. Heath has a record of siding with businesses over people, choosing to side against workers with a Koch-funded agenda. Heath, a McCrory donor, was appointed Chair of the Industrial Commission by McCrory just seven years after he passed the Bar. Typically, the Industrial Commission stays out of legislative affairs, but Heath pushed for changes that made the commission less independent--putting workers’ rights, including workers compensation disputes, in question. Heath stacked the deck against workers as Industrial Commission Chair, making sure panels that heard workers’ compensation cases had two pro-business commissioners for every pro-labor commissioner. Heath was also a board member of a Florida non-profit that organized a $200,000 Workers Education Conference in North Carolina. The group may have links to ALEC and the Koch Brothers. Heath’s three most recent jobs were all the result of appointments by Former Governor Pat McCrory, calling into question his independence as a judge. Heath was confirmed as a special Superior Court judge during the surprise December 2016 extra sessions, McCrory was able to appoint him thanks to two bills passed during the extra session. McCrory appointed Heath as his budget director even though he did not have the financial background to run an agency that affects tax policy, state employee pay, and the size of government. When Democrats called for quick legislative action on Hurricane relief, Budget Director Andrew Heath said "We are still very much in the midst of a disaster and to politicize this at this point and call for a special session when they know we don't need one is really kind of shameless." Andrew Heath had been a longtime supporter of Pat McCrory since 2008, having donated at least $1,225 to McCrory’s Gubernatorial campaigns before his Industrial Commission appointment. The law cost the state a minimum of 1,400 jobs and $630 million in lost revenue from sporting championships and other events. Click here to continue reading about Heath.